With the democratic change in Serbia in October 2000, access to information of public interest took a positive turn. Yet, as in many other realms, it was not without difficulties. This was mostly due to the lack of political will and the fact that the government and state bodies were not ready to accept and understand the work of independent institutions - like the commissioner responsible for information of public interest – and to reform the media and create conditions for freedom of expression. In November 2004, four years after the fall of Slobodan Milošević, Serbia passed the first national law regulating the right to access to information of public interest. One month later the office of the Commissioner for information of public interest and the protection of personal data was opened, an independent institution whose tasks included the protection of the rights of access to information that could be relevant for citizens. Rodoljub Šabić was appointed for a seven-years term. He still holds this position today as he was re-elected in 2011. This new independent institution was faced with the difficult task of raising the awareness of the public and the state institutions: for the former about their right to be kept up to date with the work of the institutions and for the latter regarding their obligation to guarantee access to information of public interest. With time, the work of the Commissioner has proved to be crucial also for the normal working of the media, in a country in which the authorities are seen to be reluctant to cooperate and accept criticism. In 12 years of activity, the office of the Commissioner has seen a strong increase in claims from the public and the media. Such complaints regard both the refusals from the side of authorites to provide information of public interest when requested, and the so-called "institutional silence", that is when institution simply decide to ignore such requests. The total number of appeals concerning the right of access to information has increased from 345 in 2005 to 3,474 in 2016, with a peak reached in 2015, when the Commissioner received 3,817 complaints. According to data from the Office of the Commissioner, of all the complaints received in 2016, 670 were motivated by the failure to satisfy the requests for access to information, an increase of 120 appeals, or 21.8 percent, over the previous year. In the same year, complaints from the media also continued to increase: their number has gone from 268 in 2005 to 353 in 2016, increasing by 31.7 percent. The office has also reported that since the beginning in 2005, when the law on access to information of public interest came into force, the presentation to the Commissioner of yearly reports on the implementation of this law has involved an increasing number of institutions. According to data still not complete, the number has increased from 310 in 2005 to over 600 in 2016. However, as confirmed by the Office, this general trend in growth has slightly decreased. Precisely on the basis of these reports from state organizations the Commissioner prepares his yearly report on the situation of access to information of public interest and the protection of personal data, which is then presented to the Serbian parliament in March of the following year. As explained by Predrag Blagojević, member of the Independent Association of Serbian journalists (NUNS), "after a long positive phase, during which, with a few exceptions, things were working quite well, in the last few years there has been an alarming increase in serious problems." "The indicator which best describes the present state is the enormous increase in the number of complaints filed by citizens to the Commissioner. These originate from the fact that those in power refuse to supply the information requested or simply ignore this type of demand. More worrying is the lack of adequate reaction to such a situation: according to the law, the government should use coercion to enforce the decisions of the Commissioner, but it doesn't do it", concludes Blagojević. With his consistent actions, his unambiguous reactions and his repeated reports of malpractices, Commissioner Šabić has reached various results, contributing to the improvement of the overall situation. However, his efforts have often met with resistance and obstruction, often being the object of criticism from the government. The Commissioner did not hesitate to react to a politically controversial episode which occurred during the night between the 24th and 25th April 2016, the night before the parliamentary elections, and resulted in the demolition of several buildings in the Savamala district of Belgrade. Nine months after the fact, public opinion is still waiting for answers, but the authorities insist in refusing to provide relevant information. After Šabić reacted several times to this episode, the 11th January last he repeated once more that the competent authorities are obliged to provide the public with the information of what had happened in the district of Savamala, without waiting for his intervention. "The Commissioner pointed out that the public and journalists more and more frequently come to his office making requests for access to information regarding this case", explains Sabić, again requesting the office of the Attorney General in Belgrade to make public information on the state of the procedure concerning this episode. In December 2016 Šabić also expressed concern because his annual report had not been discussed in parliament for two years. "This fact is worrying and, in my opinion, it is exerting a negative impact on two different levels. On one hand the parliament is depriving itself of information on the situation in two important issues for the protection of human rights, inputs which would be potentially useful for legislative intervention in this area. On the other hand, by doing so, the parliament sends a very bad message to other constitutional bodies. The parliament, as supreme level of legislative power, should be in the first row when it comes to fulfilling the obligations foreseen by the law and its own regulations," explained Šabić. In December last year, the Commissioner also found he had to respond to the attack by Marijan Rističević, member of parliament in the government coalition, who accused him and the Ombudsman, Saša Janković, of receiving "80,000 Euro each from Britain, and who knows how that money was spent." From that moment on, they have become "enemies of the Serbian government." In a communication released on that occasion Šabić explained that "Rističević's insinuations relate to financial resources received from the embassies of the United Kingdom and the Netherlands for a project lasting several months called "Zaštita uzbunjivača u Srbiji” (The protection of whistleblowers in Serbia). Under these circumstances it is natural to ask which direction will be taken when the mandate of the present Commissioner expires in 2018 and whether the authorities will have the presence of mind to again elect a person for this position who is prepared to openly criticize them. With the May 2010 amendment to the law on access to information, the Commissioner was given the possibility to fine those responsible for denying access to information with a maximum of 200,000 Dinar (approximately 1,600 Euro). This amendment to the law should have guaranteed the implementation of the recommendations set forth by the Commissioner, but it appeared to have little effect. According to Predrag Blagojević of NUNS, not only state institutions but also private companies and public organizations evidently prefer to pay enormous sums in fines rather than complying with the decisions of the Commissioner and provide the public with the information requested. Should the fines not have the desired result, the Commissioner has the possibility to appeal to the government to ensure the execution of measures of enforcement of its decisions. According to an article recently published in the Belgrade daily Danas, from 2010 to today Šabić has appealed to the government 135 times for this matter. Blagojević said he is worried that the government does not act to enforce Šabić's decisions, adding that according to data from the Commissioner's office, since the beginning of 2004, not even one of the decisions made by the Commissioner has been acted on. "Such a situation goes beyond the scope of the law and enters into politics," explains the journalist. Asked to comment on the necessity to change or not the law on access to information of public interest, Blagojević said that to begin with it would be sufficient for the government to start applying the law or rather to implement the decisions of the Commissioner, thus sending a clear message that the law must be obeyed by everyone. Blagojević also warns that the cases are always more numerous in which those in power give out wrong data or obsolete documents as this only involves a civil responsibility and not a criminal one, even though it involves a sort of fraud. 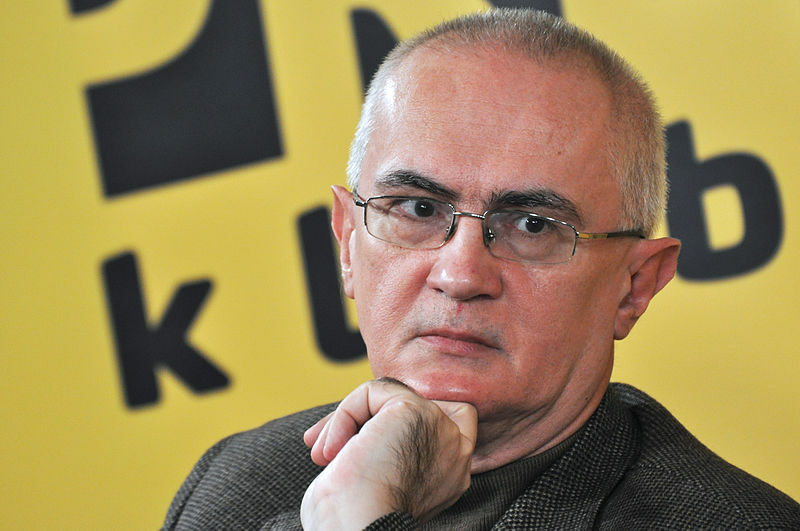 "So we easily arrive at a situation in which public officers, in order to hide cases of embezzlement in which they are involved, intentionally supply the public and journalists with false information, being aware that if found out they would be punished with fines no more than a few thousand dinar", said Blagojević. He added that more and more government officials are aware that they are not punishable, that is, that the fines are merely symbolic, so instead of preventing transgression of the law, they have the opposite effect.